The city of dreams, Mumbai is known for its undying madness and chaotic life. From roadside shopping to clubbing from Vadav Paav to street food, the city has a lot in store for you. Mumbai is a huge metropolitan city where people from all walk of life, come for the gratification of new age dreams. As it is growing in the commerce and business sector, there is another side that is booming at a miraculous pace. It is the street shopping culture of Mumbai, that is attracting many tourists and becoming a top choice for a tailor-made travel. With a tour of the Chor Bazaar in Mumbai and various other street shops, it offers a pleasant experience as you have lots of places to go to where you can bargain. Mumbai is home to some of the best malls as well as hosts of other outlets of the most popular Indian and international brands. Apart from all these, there are street shopping venues in the city, which is a crowd-pleasing for people staying in Mumbai and definitely worth a visit. For a guided Mumbai shopping tour provided below is the information on some of the popular places to shop. Located in the vicinity of the Taj Mahal and Gateway of India the entire region of the Cloba causeway market is full of vendors that sell jewelry at a pocket-friendly price. Other things you can shop for include clothes, handbags, shoes, watches and, sunglasses. Here you need to work on your bargaining tactics a little, to strike a right deal. If food and drink are on your mind, then hop onto the nearest Leopold café and savor some best of Indian food. Just about ten minutes from Colaba a tour of Fashion Street in Mumbai is a delight for fashion conscious people. A wide stretch of pavement is covered with 150 shops that sell trendy clothes where you can find steals and deals for your wardrobe. All you need to do is stick to your right find, be patient and you’ll be surprised at the amazing bargain the designer dresses, tops, and trousers, you’ll excavate from the never-ending line of stores on a private shopping tour in Mumbai. A prime destination for things to do in Mumbai, Zaveri Bazaar is the biggest jewelry market in India. Established since the 19th century, it is a powerhouse with a predomination of about 60% of India’s gold trade. Apart from that, it is lined up with significant stores selling items ranging from artificial jewelry, home décor, and accessories for which you can strike the best bargain deal. Located in South Mumbai, the market caters to the need of all types of tourist on a tour to Mumbai. 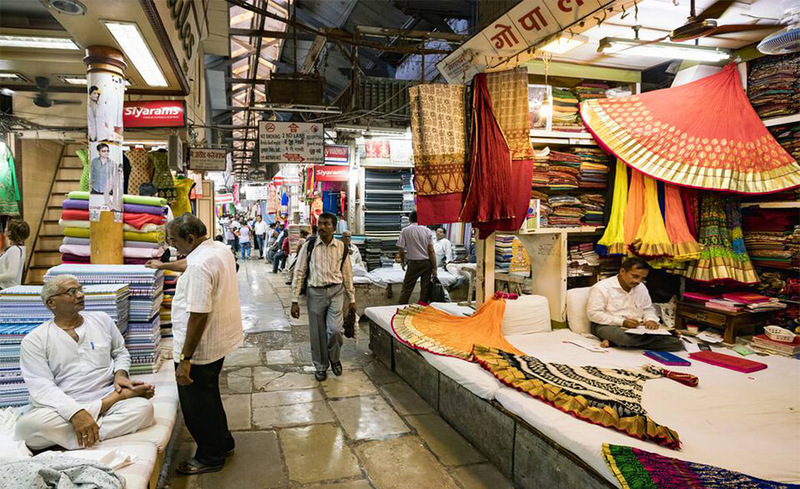 Known for selling stolen goods, Chor Bazaar is one of the major tourist attractions of Mumbai. The existence of the market, which was originally called Shor Bazaar dates back to the time when the British ruled India. They couldn’t pronounce ‘Shor’ and eventually, it became ‘Chor,’ and in spite of its reputation, Chor Bazaar is the busiest and popular, selling second-hand goods, antique and vintage objects that retain its old world charm. If it is your first time in the city and you are probably wondering how to reach Chor Bazaar in Mumbai? It is advisable to take a local bus, auto rickshaw or taxi. A wholesale, retail, Crawford Market started a humble beginning with a food and vegetable in 1869. But, today it’s a storehouse of everything ranging from spices, condiments, home decor, clothes, accessories, shoes, imported food items, and souvenirs. Located very close to the Chhatrapati Shivaji Terminus, it is a treasure hunt for the cosmetic product. If bargained correctly, it can be sold at the lowest price. You can also find many Chinese toys, artificial pieces of jewelry and party items at the Crawfords market during your trip to Mumbai . After providing you with an interesting insight on Street Shopping in Mumbai, you will be booking your Mumbai tour package. To find great deals on Mumbai tour package book online and save money for a Private shopping tour in Mumbai.